There’s tons of poker on in March with events across Europe and beyond, with luscious guarantees and buy-ins to sort players of all kinds. MainEventTravel can help with all your travel needs, wherever you’re headed!!! Grosvenor Casinos’ 25/25 Series, the fastest growing poker tour in the country, has four events in March: Stockton (March 9-12), Huddersfield and Luton (March 16-19) and finally Bournemouth (March 23-26). All 25/25 events have a £200 + 20 buy-in, 25,000 starting stack and £25,000 guarantee. Genting Poker Series is heading to Sheffield from March 16-19 with a £100,000 guarantee for the £440 Main Event. The tournament has four start days with a re-entry per Day 1. MainEventTravel is the tour’s Official Travel Partner so check out our great hotel deals. The last GPS Sheffield was won by Dan Stanway; he beat a 301-entry field for a £31,700 payday. Following a record-breaking season opener in London, the GUKPT heads north for GUKPT Manchester. The £200,000 guarantee Main Event starts TODAY. Following that stop, the GUKPT heads to Edinburgh with a week-long festival starting March 26. GUKPT London in February attracted a total of 435 entries, making it the biggest Main Event in GUKPT history. Cash Game Festival is in Slovenia next week with a four-day sojourn at Casino Perla. Cash Game Festival Nova Gorica will feature just about any game you can think of at stakes low and high, and action will be running around the clock for more than 120 hours straight! The new PokerStars Festival Rozvadov event has a €500,000 guarantee for the £1,100 Main Event which runs March 9-13; the overall festival starts March 2. Known as ‘RozVegas’, Rozvadov is a hugely popular destination for poker players thanks to Leon Tsernik’s famous King’s Casino, home of the former Eureka Poker Tour along with many other big events. Unibet Deepstack Open is off to beautiful Cannes on the French Riviera for a three-day festival from today until March 5. This is the seventh consecutive year that Unibet DSO has visited Casino Cannes Croisette and more than 500 players are expected to compete over an action-packed weekend. Last year, Jacob Amsellen won £40k after beating a 550-strong field. 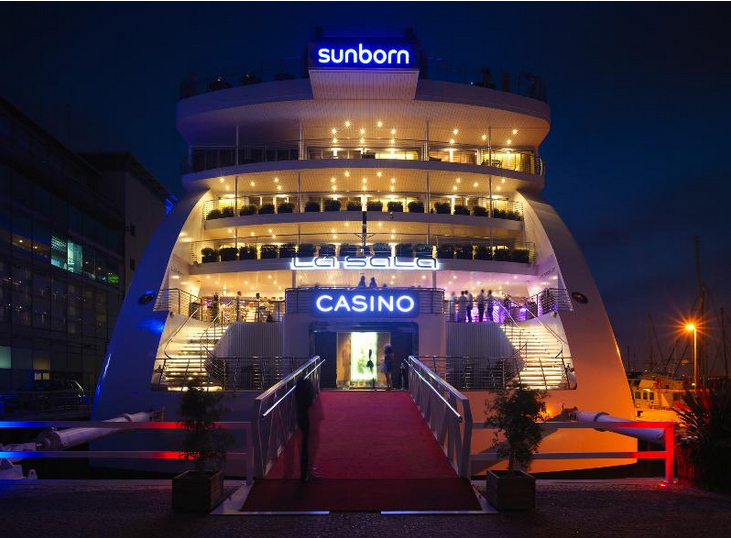 Super Stack Gibraltar is running March 16-20 and, as the tour’s Official Travel Partner, MainEventTravel has managed to secure an exclusive deal for players to stay onboard the amazing 5 star Sunborn Super Yacht Hotel, Resort and Casino where the event is being held. Players can choose from two-, three- or four-night stays and the package includes players’ £170 tournament buy-in. WPTDeepstacks Jacksonville in Florida is from March 1-13 with a £300,000 guarantee on the £1,500 live-streamed Main Event which kicks off on March 10. There are tons of live satellites on site in addition to 11 other tourneys. These include a $570 NL event with $100k guarantee, Turbos, Omaha 8 or better and bounty tournaments. A few days later, WPTDeepstacks Reno gets underway is at Atlantis Casino Resort Spa. The festival runs March 16-27 with the £200,000 guarantee Main Event starting March 24. The WPT’s main tour has three major events in March: WPT Bay 101 Shooting Star (March 6-10), WPT Rolling Thunder (March 8-15) and the Seminole Hard Rock Poker Showdown starting March 31. MainEventTravel is the WPT’s official Travel Partner so you can take advantage of the very best rates for all your accommodation and travel needs. Partypoker is off to Russia in March with the first partypoker Million in Sochi. The $1,1000 Main Event comes with a $1m guarantee and runs March 23-27 at the spanking new Sochi Casino & Resort. After its recent season opener in the Bahamas, the new PokerStars Championship tour is heading to Latin America. PokerStars Championship Panama will be held at Casino Sortis Hotel, Spa & Casino with 56 events from March 10-20. The flagship $5k Main Event starts March 14 and the packed schedule includes a $10k High Roller and $50k Super High Roller. Vibrant Panama City, home to the former Latin America Poker Tour, is set to be one of the most exciting stops of the PokerStars Championship’s maiden season. Also taking place in March are several WSOP Circuit events: the Bicycle Casino in LA (March 4-15), Harrah’s Atlantic City (March 9-20) and Hard Rock Tulsa (March 16-27). Overseas, the WSOP International Circuit returns to glamorous Campione on Lake Lugano from March 13-27. Finally, it’s time yet again for The Irish Open, the longest running NL poker tournament in Europe and one of the world’s most prestigious and lively poker festivals. The week-long extravaganza kicks off at CityWest on March 27. There are two start days for the €1,150 Main Event which comes with a €500,000 guarantee.